Can CBD help these problems? How much CBD should I be giving my dog? 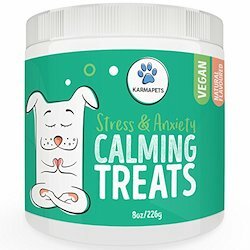 Which CBD product should our German Shepherd have? 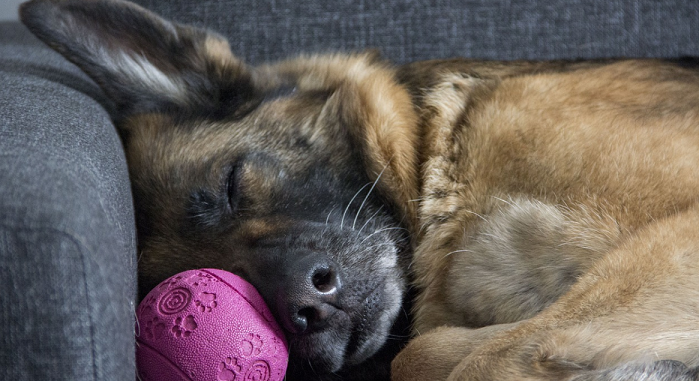 They’re not the second most popular breed of dog in the world for nothing – German Shepherds are in a league of their own. They’re loyal, trustworthy and intelligent medium-sized dogs, but they also have a warm and loving side to them, making them an ideal pet for any family. However, unlike a lot of similar pedigree breeds, this particular breed of dog is prone to health problems, unfortunately. But, luckily for man’s best friend, their problems are being lessened for certain ailments with the introduction of CBD and CBD related products into their lifestyles. You’re reading this article, so we’re presuming you’ve already heard of CBD and the benefits it can supply which is why I plan to deeply examine some of the major health problems affecting this particular breed so that you can decide for yourselves if it’s worth you trying CBD products on your dog. 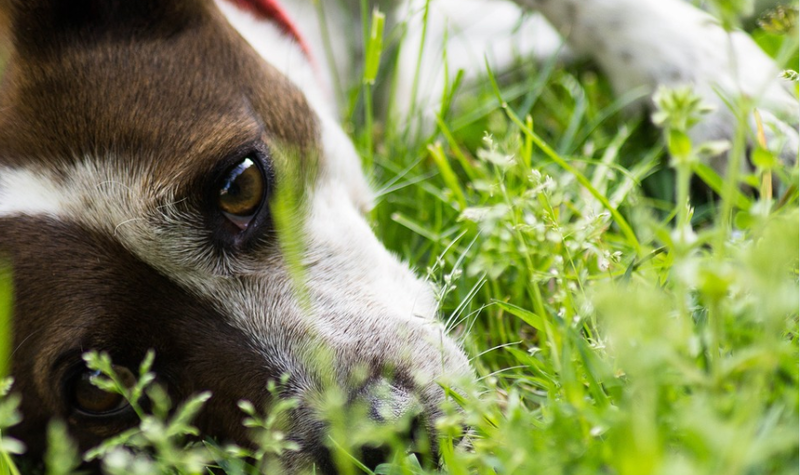 As an added plus, you can download this complimentary checklist which will assess whether your dog needs CBD or not for their needs. You can also download our report about CBD in dogs for no fee. It’s no surprise German Shepherds are such popular pets. They’re renowned for being unquestionably dependable, loyal and clever, and they can easily fit into daily home life, professional surroundings or even featuring in TV and film. One of the most well-known four-legged movie stars was Rin Tin Tin, who was saved from a battlefield in the first world war by a soldier and then became a Hollywood hit. Their size and general characteristics may position them a little higher on the intimidating scale than their smaller counterparts, but once you’ve gained their trust, they’re the most affectionate dogs you could ever wish to meet. As the name would suggest, they’re from Germany originally, where they were used as working dogs with the army and police, as they would take so well to a strict training regime. Although, if you don’t exercise them and allow them to sit about, they don’t manage with life too well. 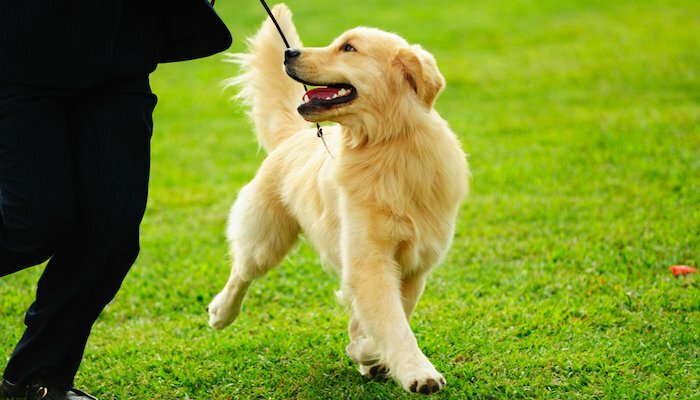 If you treat them properly, they can be an amazing family pet as they socialize with children, adults and other animals extremely well. 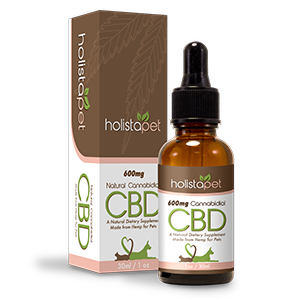 Also known as cannabidiol, CBD is extracted from hemp and cannabis plants and has been proven time and time again to help pets live long and healthy lives. Recent research has proved that many pet owners are turning to CBD, as it’s got such a good reputation as a miracle healer. CBD can be used as a dietary supplement in order to fight off many of these troubles. The right food for your GSD can really help, too. CBD Oil: up to four drops, up to four times daily. German Shepherds are middle to large sized dogs so weigh between 40 and 90lbs on the whole, which means they can handle larger intakes of CBD. These are just rough guidelines so really you should speak to your vet if you are concerned about dosages, and remember to always read the information on the pack – it sounds simple, but so many people don’t. I can’t help telling everyone about the marvels of CBD in dogs. There are so many dogs out there in the world seeing fantastic health results from using CBD. Let me give you some real-life examples. Sammie has pain in her joints due to dysplasia, and it has got so bad that her owners considered having her put down, as it was cruel letting her live on in discomfort. However, once she stopped taking her normal medication which gave her awful side effects, and used CBD, things were on the up. Her owners say she’s better than ever now. Poor Kreiger was told by a vet that his life may be cut short due to bad hips and tumors in his body, and his owners didn’t want him to feel any pain as he grew older and less fit and healthy. Now, years on, he’s fit and well, much more than he ever was, and his skin irritations have even cleared up. Big thumbs up for CBD in this instance. Brady needed physical therapy from the vet, so his owners decided to see if CBD would help him too. After only a couple of weeks on CBD, he’s much less flat and walks about wagging his tail, and in good spirits. These are just three German Shepherds I’ve told you about who is benefiting from CBD and were all using CBD products from Canna-Pet. 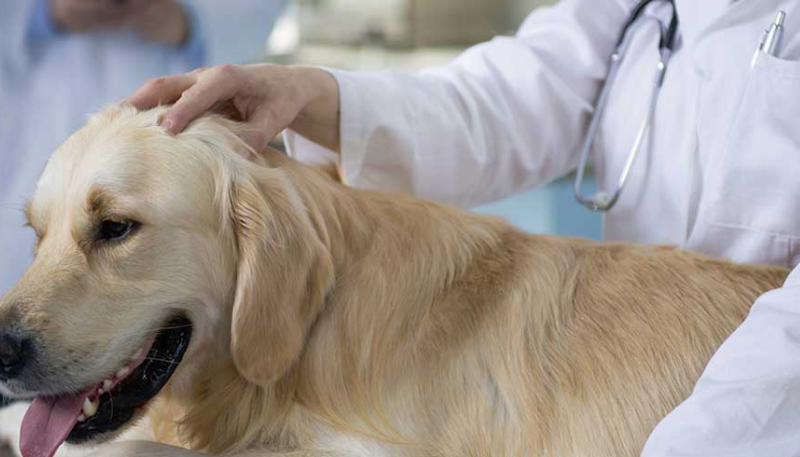 Whether your pet is currently suffering from a minor or serious medical condition, or if you just want to prolong their happy and healthy life, CBD will do the trick. For me, I started giving our German Shepherd CBD when I discovered she had cancer and hip dysplasia. I hassled my vet for treatment, but it seemed there was nothing they could do other than painkillers, which is when I decided it was time to give CBD a whirl. King Kanine is the best brand to go for, in my opinion, as they’re reputable, trusted and supply high-end, quality CBD goods. German Shepherds are a large breed of dog so need more of a large dosage if they have pain than for example, a Dachshund with anxiety – it’s all to do with size and health problem. 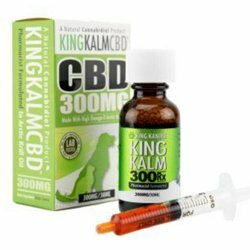 King Kanine’s King Kalm CBD 300mg RX is a CBD product I really rate as I used it on my dog, Rosie, who had joint pain and cancer, and I saw good results in not a long time. My sister in law also saw a lot of progress with her dog, who suffers from anxiety, and she didn’t have to wait long to see really great results either. If you decide that CBD oil is the way forward for your pet, I think you will see fantastic results too. Does my dog need CBD treatment? Why not see this complimentary checklist and find out. 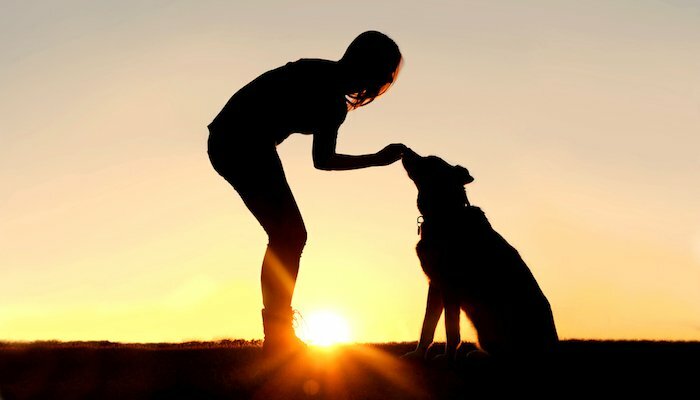 You can even subscribe to my newsletter for daily CBD tips and updates about your pet’s well-being.